Last year’s Blue-Gold game featured big numbers from Dexter Williams and Miles Boykin. I guess it could be spun that it was a predictor of things to come in 2018 in that sense. 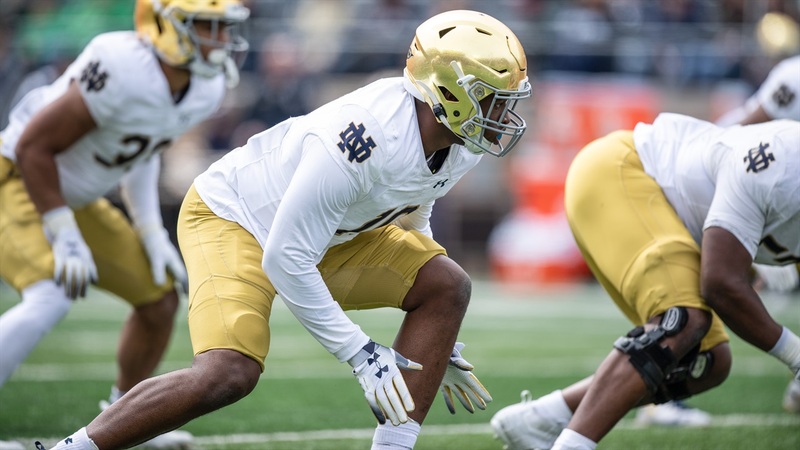 Then again, Brandon Wimbush threw for 341 yards, Ade Ogundeji had the most sacks in the game, Nick Watkins tallied three pass breakups, and Avery Davis totalled 80 yards and was one of the most talked about players coming out of the game. It’s lesson to not get caught up in the storylines and the numbers of a spring game because it’s really just one of 15 practices.